Legislators reject tougher penalties, even for repeat offenders. First of a series. Quinn Felly of Apex Property Management sweeps broken glass from the sidewalk in front of an apartment building on Williamson Street in Madison, Wis. on Wednesday, June 6, 2012. 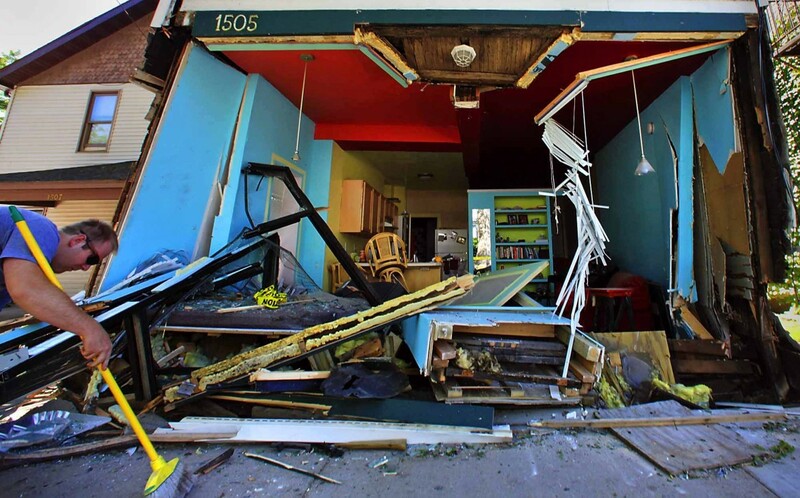 A car crash took off the front of the building in the middle of the night. Felly said a woman was sleeping behind the bookcase at the center. Christopher Brunetto of Fairfield, Conn., was found guilty of a fourth drunken driving offense and fleeing the scene. Photo by Craig Schreiner/Wisconsin State Journal. State Sen. Tim Carpenter, D-Milwaukee, knows what a difference a law can make. In 1996 his alcoholic father was cited for operating under the influence, after being involved in an automobile crash. To get an occupational license, Kenneth Carpenter, 70, had to appear in court. To keep his son’s support, he had to quit drinking. He did both. Kenneth Carpenter died in 2010, after 14 years of sobriety. In the 2013-14 legislative session, Tim Carpenter co-sponsored a number of bills, authored by Republicans, to toughen Wisconsin’s laws regarding drunken driving. These included a bill to make all persons cited with first-offense operating while intoxicated, or OWI, appear in court, which some can now avoid. The bill drew unanimous support from committees in both legislative houses and passed the Assembly on a voice vote. And then it died — along with every bill in the package and virtually every other proposal in the session to toughen Wisconsin’s drunken driving laws. 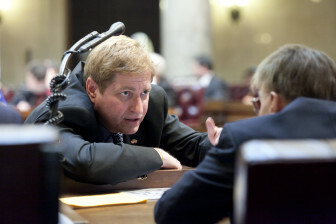 A review shows that Rep. Jim Ott, R-Mequon, and state Sen. Alberta Darling, R-River Hills, the bills’ authors, received only about a half-dozen critical responses (the proposed bills, one person wrote, “are way too strict and are killing the tavern business in Wisconsin”) and more than 90 positive ones. State Sen. Tim Carpenter, D-Milwaukee, is dismayed by the Legislature’s failure to pass GOP-backed bills to toughen state penalties for drunken driving: “We blew a golden opportunity.” Photo Feb. 20, 2011. Photo courtesy of the State of Wisconsin. 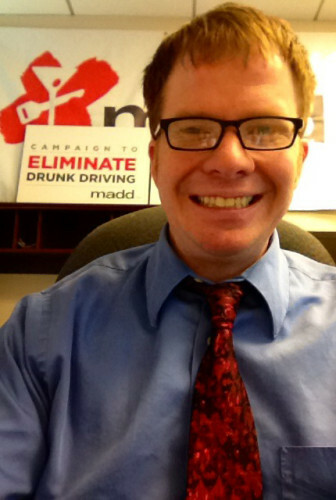 “It is great to see that you are working on tougher drunk driving laws,” one person emailed. “I’m embarrassed to live in a state that allows these repeat offenders to drive our streets and highways,” wrote another. “I want to offer my help and support,” said a man paralyzed by a drunken driver who also killed his mother, father and little brother. How does Republican backing in a GOP-controlled state, overwhelming public support and virtually no opposition add up to legislative defeat? Cost was a key concern, but Senate Majority Leader Scott Fitzgerald, R-Juneau, the person most responsible for blocking these bills, cites another factor. Wisconsin has long experienced a dismal level of carnage due to drunken driving. A national ranking based on 2012 numbers ranked it 16th worst among states in its percentage of fatal crashes that were OWI-related. In 2013, according to the state Department of Transportation, there were 4,954 alcohol-related crashes in Wisconsin, leading to 185 deaths and 2,660 injuries. Over the past five years, the state’s annual average is 218 deaths. In the previous five-year period, 2004-2008, the average topped 300. “We’ve had one of the most dramatic reductions of fatalities since they’ve been keeping data,” said Scott Stenger, a contract lobbyist for the Tavern League of Wisconsin. He cited SafeRide and designated driver programs, saying more people “are starting to plan ahead” to avoid driving while impaired. Wisconsin native Frank Harris of the national group Mothers Against Drunk Driving says the recent decline in deaths and injuries caused by drunken driving is not enough: “There’s still 200 people dying a year in a 100 percent preventable occurrence.” Photo courtesy of Mothers Against Drunk Driving. * Made first-offense drunken driving a crime for persons with a blood alcohol concentration (BAC) of .15 or higher, roughly twice the legal limit. * Hiked the penalties for repeat offenders. * Created mandatory minimum sentences for drunken drivers who cause injuries or deaths. * Allowed judges to confiscate autos used in third or subsequent OWIs. 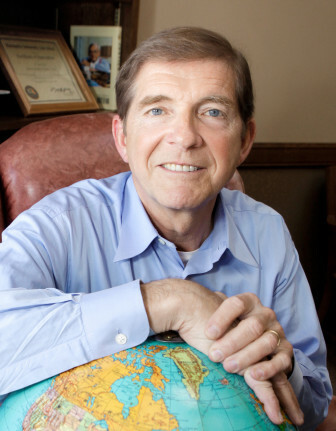 Rep. Jim Ott, R-Mequon, in his Capitol office, April 8, 2009. Ott disputes estimates that costs will skyrocket if tougher drunken driving laws are passed, saying these assume that conviction rates will stay the same when “the whole purpose in pushing through OWI legislation was to produce a deterrent effect.” Photo April 8, 2009. Photo by Mike DeVries / The Capital Times. And Carpenter, who considers the cost estimates “a bogeyman to scare people off,” pointed out that the bill to mandate court appearances for all offenders would have had a nominal fiscal impact and still did not pass. Rep. Samantha Kerkman, R-Salem, who supported the court-appearance bill “to bring seriousness to the fact that they were caught,” is disappointed by the Senate’s failure to pass it. She hopes the Legislature will take it up again next session. Displaying political contributions between people mentioned in this story. Learn more. I’ve said for years, that OWI laws should be three strikes style. Once you get to three, you lose your license for life. And there should be a free and easily accessible website of all three time offenders so private dealers and sellers don’t sell them cars. If they do, then they should also be held accountable. Three OWI’s is pretty generous, but it would be possible. After all, how do people who oppose tougher OWI laws feel about pilots and school bus drivers who drink and drive? A vehicle is a vehicle and the same stringent laws should apply. We’re talking deterrance? Why? Nothing deters an alcoholic from drinking. And that is what every repeat offender is, an alcoholic. They need help. Why do we talk about this in a vacuum? The trend for drug enforcement has been slowly turning towards treatment as opposed to incarceration for years, why should drunk driving/alcholism be any different? If you lose your license after 3 offenses, and you should, that would prevent many deaths. The problem is that OWI’s are treated as a money making business. 2nd, 3rd, 4th, 5th AND 6th time drunk drivers can all too often get work release Huber privileges which net the local court systems over $175 a week for every week each offender serves that type of sentence. Compounded with repeat offenders knowing that is all the will happen to them as far a consequences of their taking careless risks is most of the problem. Start protecting the innocent public from these criminals (on both sides) and make a 2nd offense an automatic felony like most states have done for years. You must be an Urban Milwaukee member to leave a comment. Membership, which includes a host of perks, including an ad-free website, tickets to marquee events like Summerfest, the Wisconsin State Fair and the Florentine Opera, a better photo browser and access to members-only, behind-the-scenes tours, starts at $9/month. Learn more. Join now and cancel anytime. If you are an existing member, sign-in to leave a comment. Help assure the future of city’s fastest growing publication. Jake formerly of the LP on Murphy’s Law: Ron Johnson Asleep on Russian Hacking?